-The Tailgate: There’s tailgating and then there’s ESPN Tailgating! 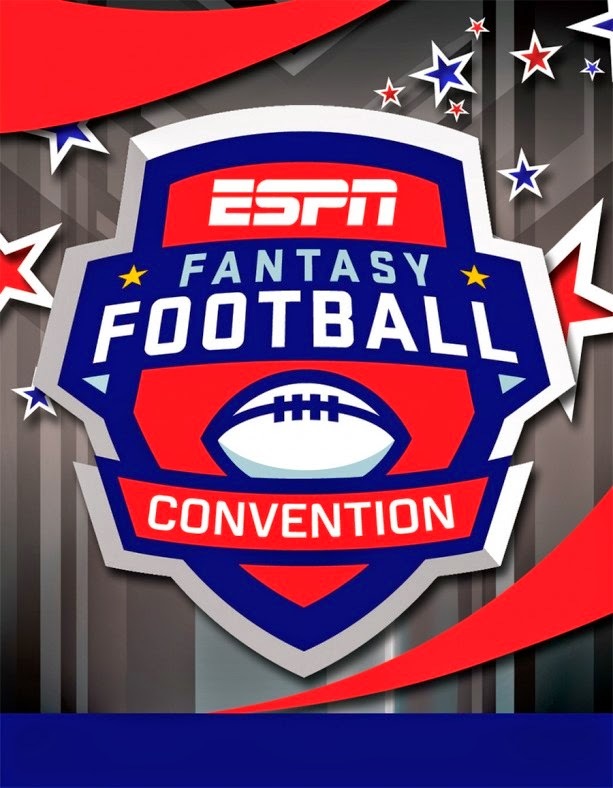 Hosted by ESPN’s Trey Wingo, compete to win in Football Toss, Corn Hole and hang with ESPN Fantasy Experts and NFL Insiders including Matthew Berry, Adam Schefter and Sara Walsh. You won't want to miss the ESPN Chili Bowl, as ESPN’s Mark “Stink” Schlereth, you and other fans judge which Disney chef, representing their favorite cities, will win the trophy and the bragging rights! -Breakfast with Characters: Hit the training table for a big League breakfast, then determine who you’d draft first: Mickey or Goofy? -Fantasy Football Now: Be part of the live studio audience for ESPN2’s "Fantasy Football Now"
-Photos with ESPN Talent: Finish the Convention with a final goodbye and round of photos of you and your friends from ESPN!